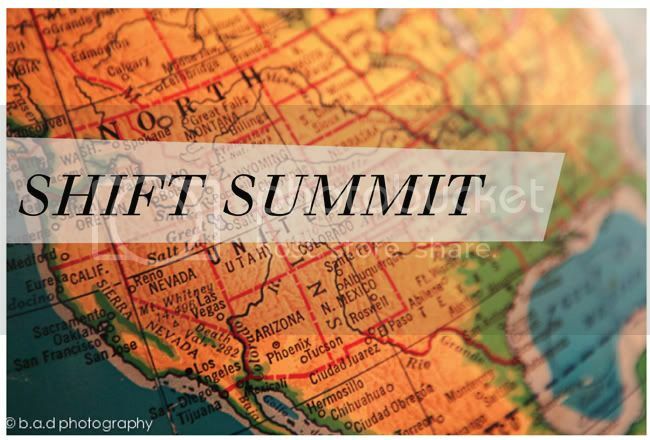 On Wednesday afternoon, Alt gave attendees the opportunity to attend Shift Summit. I figured why not take in all the opportunities to learn that I could, so I signed up and I am so glad I did. Here are some points I took from it that really stood out. - There's never been a time that individuals have been so empowered to have influence on the community. - Appeal to consumers motivation to connect with each other, not just with your brand. - Sharing comes down to one thing - its about embedding your content in a message that others do want to share. I thought one of the most interesting things said at this panel was by Kyle Snarr from StruckAxiom. "You cannot just be on facebook and twitter anymore .. its not enough." To some of us, this may seem really crazy because we can hardly keep up with twitter/facebook as it is. He went into talking about something called The HUB THEORY: It's this notion of picking a location, a place to point your social avenues to - i.e. : your main dot.com website or your blog. Kyle says finding out that right social media mix for you is critical - figure it out and then publish everywhere. Facebook / twitter / youtube / pinterest / tumblr / linked in / flickr. So everything is at one central hub. For me, my "main hub" is my blog. What is yours? Kyle then says you need to be using Social Media as avenues to direct back to your main hub. Take your content and push it through instagram. or twitter. Everyone is on different communities, they are different groups of people. Personally, I am not on instagram because they don't make it for my phone. But thousands are. Take a photo, share it on instagram and direct that traffic back to your blog. I don't really use facebook but thousands of others do and I have it for my blog. It may seem like a lot but really, you're essentially managing one main community and using social media to direct impressions back to your site. Adam Young from rcwilley.com pointed out to figure out where you want to focus your social media efforts - for their company - they chose to do it through Facebook and their email database. While you can be in all the social media places, Adam points out it is most important to focus on branding. Be consistent with your brand. This is always essential. If you're all over the place and fall out from what you truly are, it does not give a true representation of who you are. Your brand IS your social strategy. They're not different, but they are one in the same. Brand brings definition. Focus on QUALITY, ORIGINAL CONTENT. This seemed to be a main theme at the conference. The speakers stress to focus on fresh original homemade homegrown content. Focus on quality. Take a quick class to become a decent photographer. Thats all it takes. Keep in mind the long term trend toward this usefulness. your posts - have them be useful. Balance is a state of flexibility that allows me to be creative. To stay balanced, you need to constantly be open to flexibility. It's not this picture perfect life. It's constantly changing on so many levels. The balance is in keeping perspective and always having what is important it in your mind. They talked about focus and joked about having 17 windows open, then hopping over to twitter. then to pinterest. Isn't this all too familiar with so many of us? My brother came over one day and say all the windows and tabs I had open and said "Man, I'd be stressed out too if I had a desktop like this." haha. I've joked with friends about how crazy it is that we can have so many windows open at once. Maybe it's a way to make us feel like we're busy but we don't need to be inventing ways to feel busy. We can turn it off, just make a deliberate effort to do that. Make effort to CLOSE THE WINDOW and only have 1 window, 1 project going on at a time. When it is finished, then I can go focus on another thing. "its okay for my blog not to grow the fastest or have the most traffic or make the most money. I am better creatively when I am stopping and taking care of myself. It makes my blog better. For me, its giving myself the permission to say "I'm going to stop here. I'm not going to keep going going going. make myself sick" -- This idea of consciously living - taking a long view of who you are. what matters to you. what's important. where you live is irrelevant. who am I, why am I here. What am I supposed to be doing. What do I feel when I wake up in the morning? Your blog/shop/whatever - doesn't have to be your only measure of success. Be authentic about the path you are choosing. I am going to make a little less money but I will be so much more happy. I can do taxes and package orders but its not what I was made to do. Hire someone to package your orders and free up that time for you to do something else. There isn't one single rule about comments but generally, and I've realized this just recently: We really show support by leaving comments. If you used a recipe or found a great diy resource, leave a comment to let them know you appreciate them. Bloggers work hard to put together content. One blog I regularly frequent expressed she would put so much work into her posts and receive no comments, it was discouraging so she just disabled her comments entirely. I thought that was really interesting but also kind of sad too. Comments are just a nice way to support this special blog support community that we are a part of. I know I actually need to be more intentional about leaving more comments on blogs who I appreciate and clearly put a lot of work + effort into their posts. I think for me, I already feel like I don't have enough time in the day. But it's just about taking an extra 5 or 10 minutes to leave a comment. What do you think? This pretty bad etiquette. Leaving a thoughtless comment to self-promote yourself like, "nice post. By the way, I'm doing a giveaway here! link." Use the "name/URL" box (or have the link attached to your blogger profile) and if someone wants to click to your site, they'll find it that way. Grace Bonney from Design Sponge actually said this in her panel last year and I've always remembered it because it's so true. Some things just aren't worth the time and effort. - Don't air your dirty laundry. It happened early on in my blogging years and my initial response was to do a post about it and let all the world know this girl was a big fat copycat. Thankfully I had some nice blog friends who I emailed and they advised me not to post about it, but deal with it privately and I did. It was definitely better to handle it that way in the long run. - Copying / Being Inspired. Take an idea and make it your own. Work off that idea to make a new idea. In our ever growing creative community, it is really hard to come up with something completely 100% original. It's a tough line because yes, we all gather inspiration from each other to some degree. But we also need to do this on a conscious level. To be honest, and some of you may remember, I didn't always used to credit properly. It seems like this should be a given and common sense but I honestly just didn't know. I think so many people just don't realize. But it starts with us, we need to all set the example and others will hopefully follow. If you see a decorating idea and use it on your own blog, just leave a comment to where you saw the idea first. People aren't going to think you're unoriginal or not creative.. I have a friend who gets copied all the time, for some reason the blogger copying her will just not leave her link crediting back. I really don't get it. Pinterest / weheartit / imgfave - are not proper credits. I posted a resource link list here the other day with tineye + google image search (which a reader actually told me about) If I want to use a photo that doesn't have the right credit, I'll take that extra time to search for it and try to find the original source. If I can't find it, I won't use the image. - Put a disclaimer on your blog. If you don't want people to use your stuff, post it somewhere on your site. Now and days you see copyrights and messages on blogs like, "all content the right of so and so" .. I personally don't mind if people use my photos but someone else may. I put a little button on my site that says "use my photos, just credit" - so if you are posting your own photos and everything, make it clear about your preferences. If you want to read even more, check the Alt Blog for lots of recaps. You can also go through the thousands of #altsummit tweets for great quotes from bloggers tweeting during the event. Anyway, here are some images from the fabulous Friday night parties they had. Had so much fun hanging out with friends: Lillian, Beth, Karen, Melanie. 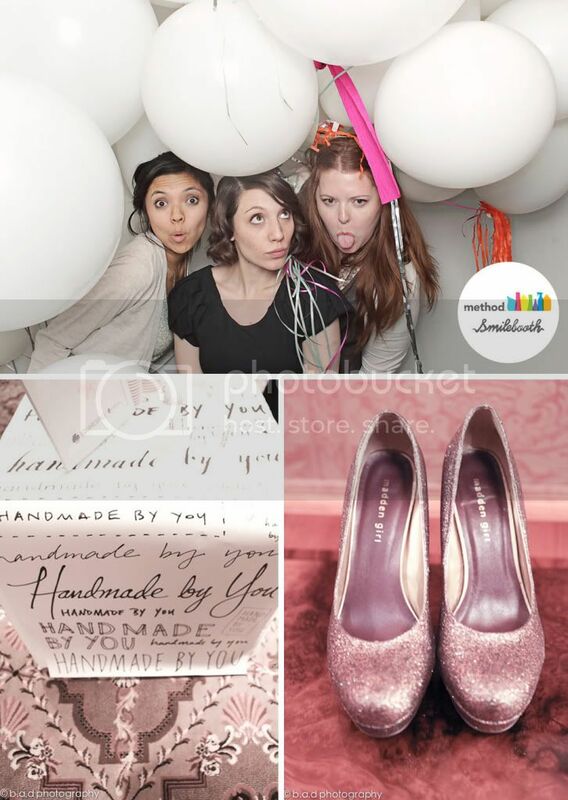 There were lots of photo booths, smilebooth was a favorite and ruelala's was super cute too. Alt Summit looks fun, but overwhelming white straight middle-class women; even though I am in that majority, I wonder if having so many people from similar backgrounds gets a bit repititive? Or is there more diversity which I'm just not seeing in the recaps? Thank you so much for that wonderful recap of Alt! I hear you on the comment thing. I had crazy traffic to my blog a few days ago and only 2 people commented..couldn't decide if people thought it sucked or just didn't think to comment. It's so hard to measure whether you are connecting with people w/o any comments, but I'm trying not to let it get me down. So happy that Melanie got a baby shower thrown in there. You are just so sweet! I don't have a disclaimer on my blog because I never think anyone would ever want to copy anything from it. Maybe I should?! And I spoke a little about commenting today on my blog. It's so beneficial to me to stay in touch with me as a blogger. SO much great info here. Thank you, thank you, thank you for putting it all together! It is equal parts inspiring and educational. I loved the bit about comments as showing support. I totally agree with this. As a blogger, I know how much work goes into a quality post and I love to support other bloggers by giving them a little "hello" when I love their post. off to the other laptop..
All this info. puts a smile on my face. Thank you for sharing. I sometimes worried that no one liked what i was sharing in my blog because of the small amount of comments but then i remembered why i started the blog in the first place: for myself and to share no matter what. There seem to be some recurring topics that i've been reading about in a lot of places and your recap adds to the big picture in things like etiquette, content, life vs. work. That looks like so much fun! I greatly appreciate your sharing in such great detail. I am new to the world of blogging but not new to art and some of the basic concepts that you talked about transfer over. Your section on blogging etiquette was quite helpful. Thankfully I have been doing things right. Being an artist, I know all about copyright so that part of blogging came easy - credit where it is due. Sometimes it is hard to find the original source and you are right - then I dont use it. Anyway - thank you so much for sharing with us! This is one of the best recaps I've read so far - thanks for putting it together. I especially appreciate the blurb about focus. As I write this, I have 19 tabs open in Chrome and 5 open in Firefox. I am totally that girl who hops from tab to tab to tab. I think this week I will just close all of them and try to focus on one thing at a time and just see what happens. Thanks for all the alt recap. I really wanted to go this year, but I had a baby 3 mo. ago and just couldn't make it. It was obviously an awesome event, I'm sad I missed out. But, I really enjoyed reading what you took from the event. 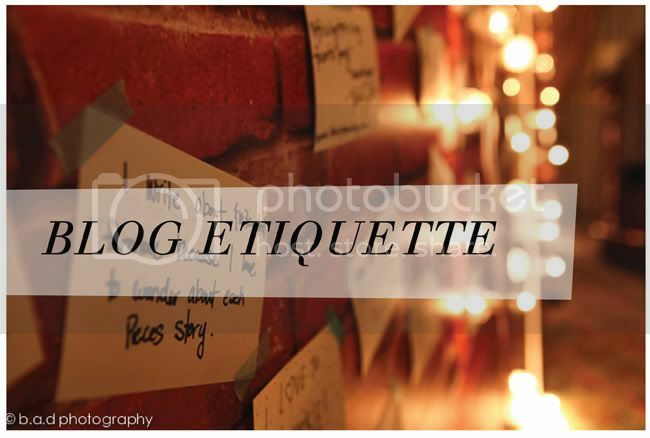 And I totally agree with and appreciate your comments and thoughts about blog etiquette. I feel the NO-comments pain all too often. I post something I and think, "well that was awesome an awesome post" and then nothing (cue crickets). Any the copying thing. Ahhhhhhhh! I think part of being a truly creative mind, is that you want what you do to be totally original. There is no creativity in copying. Give credit - I agree. Well your preaching to the choir. Danni, it was so nice to meet you at Alt! I'm so happy we had a little time together at the dinner--wish we could have had more! Wonderful recap. Thanks so much for sharing all of this! I am so going to Alt Summit next year! It looks like it was an amazing time. I myself am not a full time blogger, but started doing it as a hobby and something I could share with my sisters. Now it's taken on a life of it's own and up until recently, we hadn't really studied blog formalities or etiquette. So it's cool to see so many other bloggers out there also having the same issues (self-promoting comments, etc) I'm impressed that Alt Summit exists and agree with Libby - it would be nice to know if there was more diversity there. I'll have to go next time to check it out myself! I thought this post was such a treat to read, since I couldn't make it to the Summit. This was so helpful, and I look forward to meeting you next year. 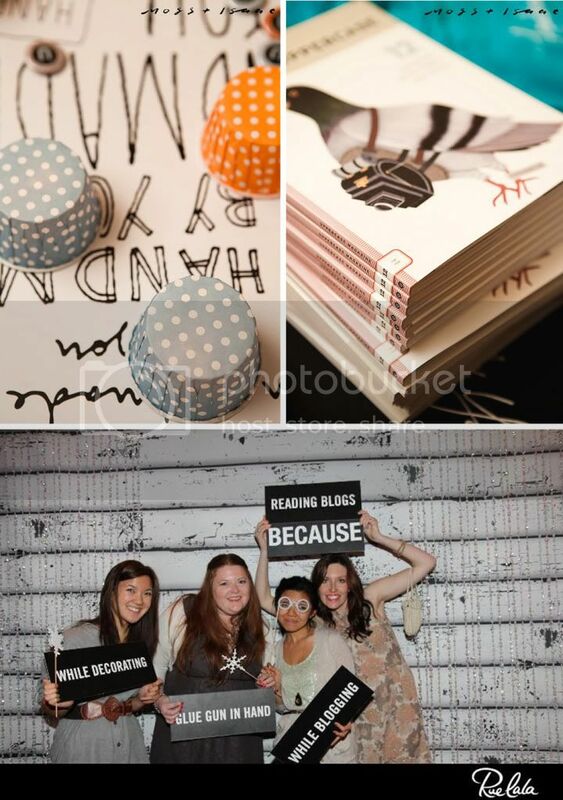 I also but one of your stamps and use it for all my shipping- my clients LOooove it! Such a great recap, Danni! I wanted to make it to the Shift Summit, too, but it just didn't work out, so thanks for sharing! Anyways, it was lovely seeing you at Alt as always. Have a lovely week. That was a very informative post, thank you for summarizing it so well for those of us who couldn't attend. Love the part about the central hub--I think on some level I needed to read about that--I've been vacillating between spreading out in social media, but don't really have the time to entertain all its demands. This makes so much sense. Thanks. That sounds like such a fun, informative event. I'm with you on commenting. I try to comment whenever possible on blogs and posts I like. so sad i had to miss alt again! hopefully i'll be able to go next year. :) thank you so much for sharing this helpful info and bringing it back to those of us who couldn't attend. miss ya! wow! thank you so much for this detailed post. it was incredibly helpful. i will be linking my readers towards it! Both quote graphics should have the contraction "it's," not the possessive "its." Thanks for a great recap, I've only been blogging for a few months and your recent posts about crediting have been really helpful. I always credit but I'm really trying now to find original sources and permission when due! I love what you said about how leaving comments is really all about support.... that is something I need to work on. Thanks for taking the time to type all this out. I am not going to lie, I often find myself frustrated wondering why I don't get comments and a million followers. I just keep trucking along though, blogging for myself and whoever feels like following along with me. I appreciate the people greatly who do read my blog and comment. Also, I find so many blogs everyday that I have not even heard of and I have been doing this for 5 years! The blogger world is such a huge thing. Again, thanks for the post. Really interesting read. Thank you! 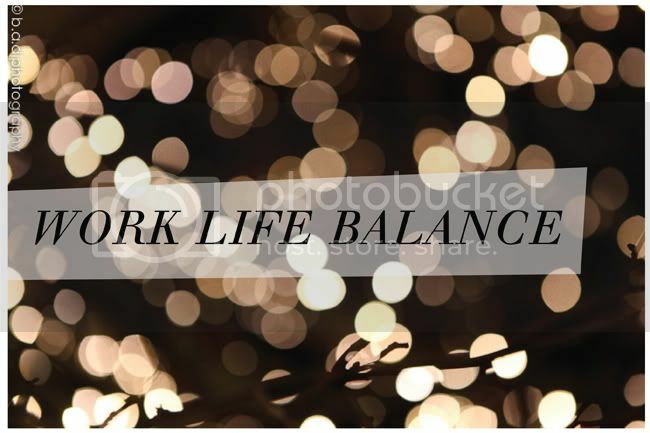 Love this post & your blog! My mom sent me the link to your blog :) My family grew up with your husbands family in KC. Such a small world. Thanks for the Alt recap. I hope to go next year!! Thanks for sharing all of this info. This had to have been the most fantastic event! I've just started blogging so all this info is going to be very useful, thank you so much for sharing!